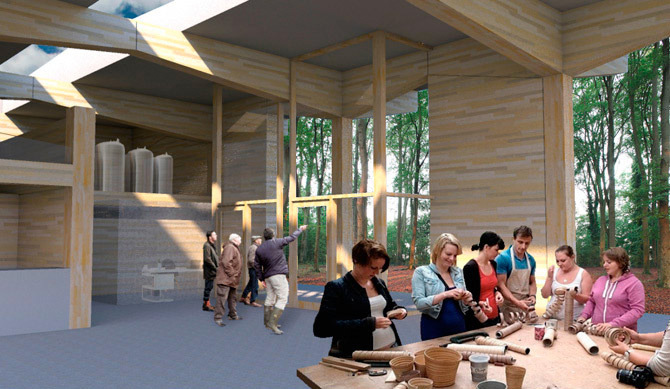 A competition design for a visitor centre at Langley Vale Wood. 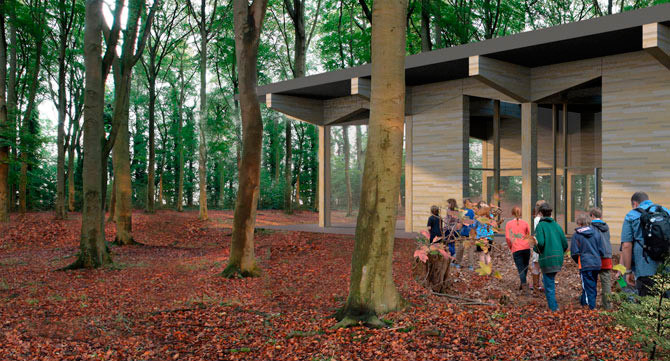 The proposal is based around the idea of 'planting' a series of timber glulam 'trees' to form the backbone of the various areas of the visitor centre, including the main entrance, a large internal space for group activities and orientation, a kitchen/cafe area, toilets and ancillary spaces. 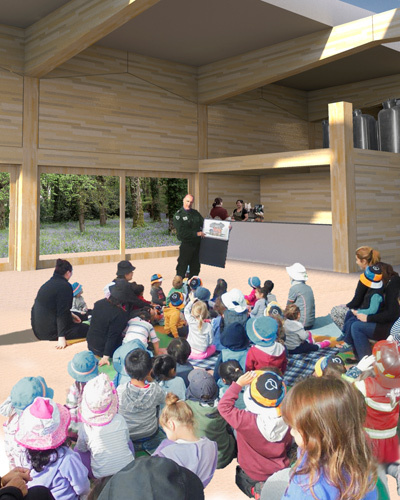 Prefabricated timber panels and timber framed windows infill between the 'trees', with a large roof area for grey-water collection and recycling. 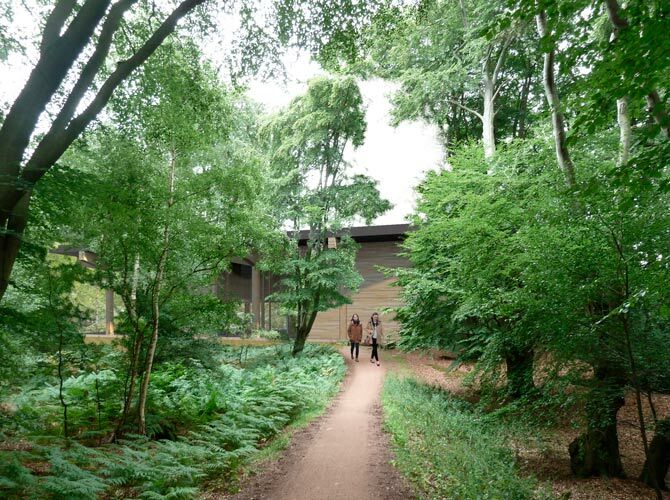 As the landscape and woodland become more established, the design has the flexibility to be extended by planting more trees.